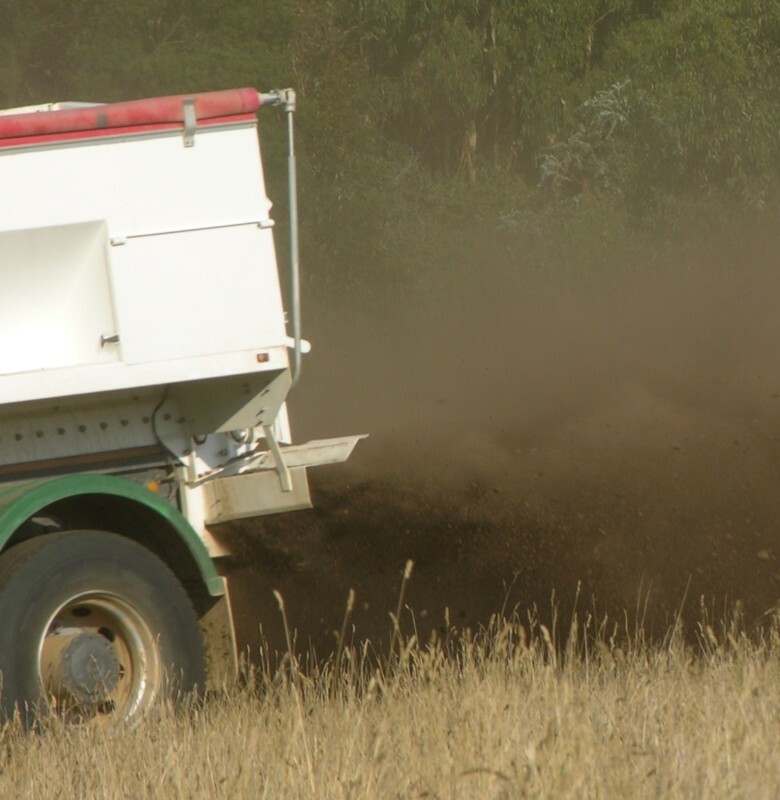 The Westernport Catchment Landcare Network’s alternative fertilisers trial was conducted over six years between 2007 and 2013. It comprised two major replicated trial sites at Vervale and Longwarry and four minor trial sites on farms, all located in west Gippsland which is a medium to high rainfall region east of Melbourne, Victoria. And as with other similar trials motivation to set it up came from pressure from local farmers interested in how alternative fertilisers would perform. Of course, the added justification is that for some reason the soils in the local catchment may respond differently to elsewhere as no trials of this nature have been conducted locally. Unfortunately the committee has failed to investigate if different farming systems being embraced locally have particular soil health or productivity issues or advantages that are being addressed by using specific types of fertilisers. This is a major omission as “productivity, profitability and sustainability” are impacted by multiple factors associated with the farming system or methodology adopted, so isolating one component such as fertiliser type is unlikely to greatly assist decision making. 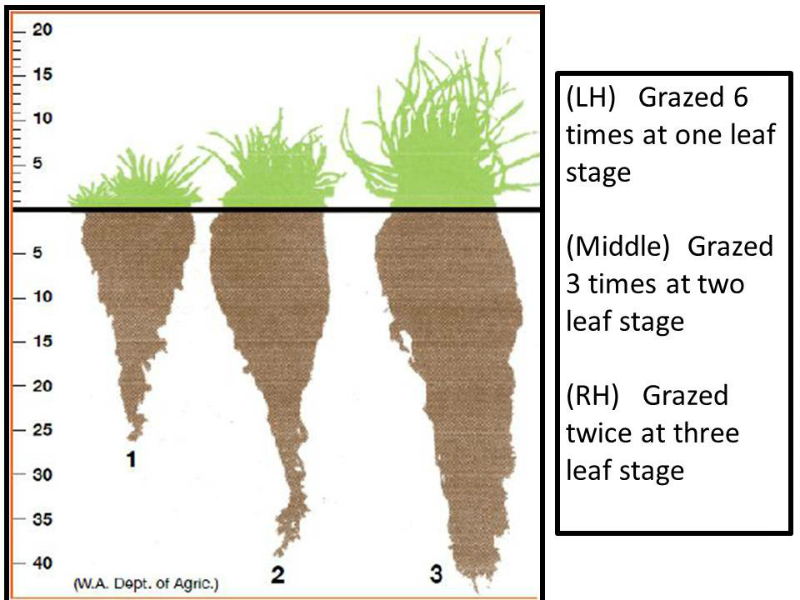 Grazing methodology is likely to have more impact on pasture productivity in moderate to high rainfall zones with moderate soil nutrition and dominated by perennial grasses, than the type of fertiliser used. Despite that limitation the Westernport Alternative Fertiliser trial is of interest more for what is doesn’t demonstrate rather than for what it does. In a summary, what it shows is that making decisions around productivity increase based on using specific conventional chemical fertilisers or natural organic fertilisers is unrewarding and usually unprofitable. In this grazing environment not using any fertiliser can lead to similar dry matter production per hectare as applying products that may cost hundreds and sometimes thousands of dollars per hectare over a six year period. It highlights how farmers need to be more holistic when making decisions about inputs. 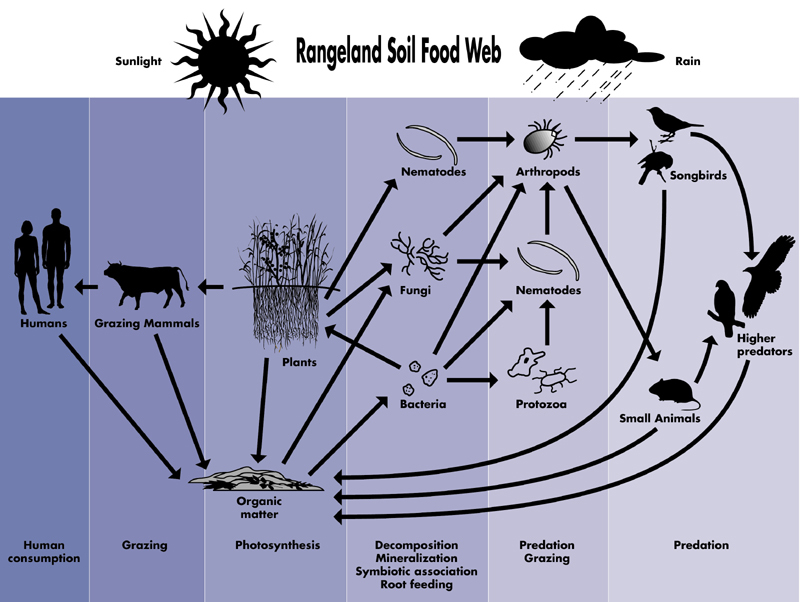 This holistic approach is actually referred to in chapters 1 and 2 of the report where an updated version of USDA NRC’s soil food web diagram is shown, figure 1. In fact these chapters make important background reading for farmers unfamiliar with the multiplicity of factors underlying interconnections between soil health, pasture health, livestock productivity and health, water quality, and on-farm biodiversity. An important omission from the trial results is background data for the two major trial sites. There is no data on previous paddock history, soil health, pasture composition and livestock production per ha and per 100 mm rainfall. This data should have been related to catchment data to demonstrate if the sites were equal, worse or better than similar paddocks on surrounding farms. Both farms were grazing beef cattle and from the original soil test data, nutrient status at the start of the trial could be described as adequate to high, that is individual indicator levels were close to recommended or above optimums except for soil pH at Vervale which at 4.8 (in Calcium chloride) is low. At Longwarry pH was much higher at 5.5. In fact, some of the soil nutrients’ levels at both sites are more than adequate for pasture growth and fertilisers containing phosphorus are unnecessary. Further additions could be considered a potential threat to groundwater if leaching occured. The low pH at Vervale may have been the reason for the control plots to have lime applied each year. There should have been a true control where no lime was applied. But pH doesn’t explain why lime was also added to the control plots at Longwarry. Data was collected on soil microbiology, soil chemistry, soil temperature, soil salinity, soil compaction, soil water holding capacity, leaf tissue nutrient status, plant Brix (sugar) status, pasture growth, pasture cover, pasture species, pasture nutrient composition and rainfall. The products and their rates used in the trial added an enormous amount of complexity when it comes to interpreting results. The products included soil ameliorants, biological enhancers, chemical fertilisers, composts, animal manures and a plant hormone, in all at least 26 products. In the two major trial sites, there was no cattle access and pasture was harvested by mower and catcher. In the minor sites, cattle grazed the plots and pasture samples were collected before grazing. The trial was originally planned to run for three years, however the two major sites were funded to run another three years. The trial ran from August 2007 to August 2013. Lowest 12 month rainfall of 706mm occurred in the first year and the highest, 1131 mm in 2011. The Vervale site included six treatments and a control. The control had lime applied as did each of the other treatments: conventional blend, chicken manure, compost and fish, TNN, organic, and rock phosphate. What makes results virtually impossible to interpret is that each treatment includes multiple products so if a response is achieved it is impossible to know which one(s) was responsible. Only the chicken manure plots had the one product applied (as well as lime). 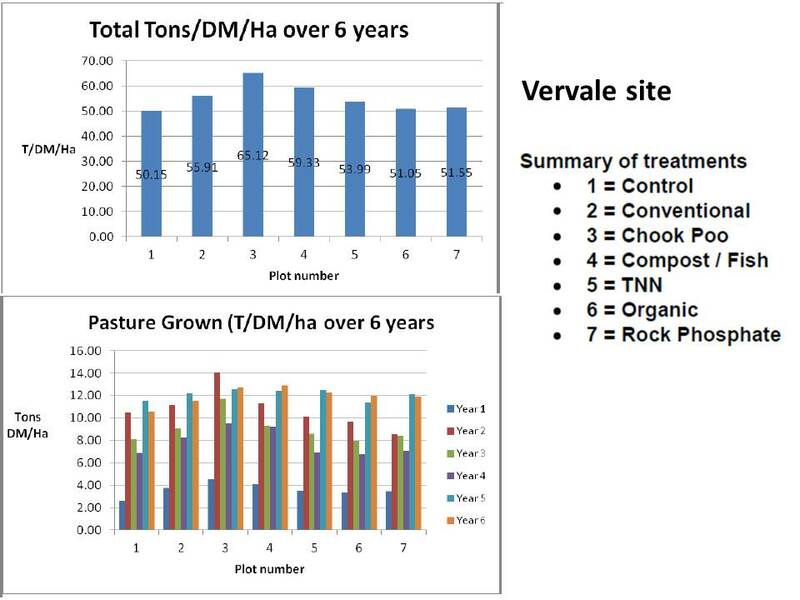 Figure 2: The average dry matter yields per treatment at the Vervale site. 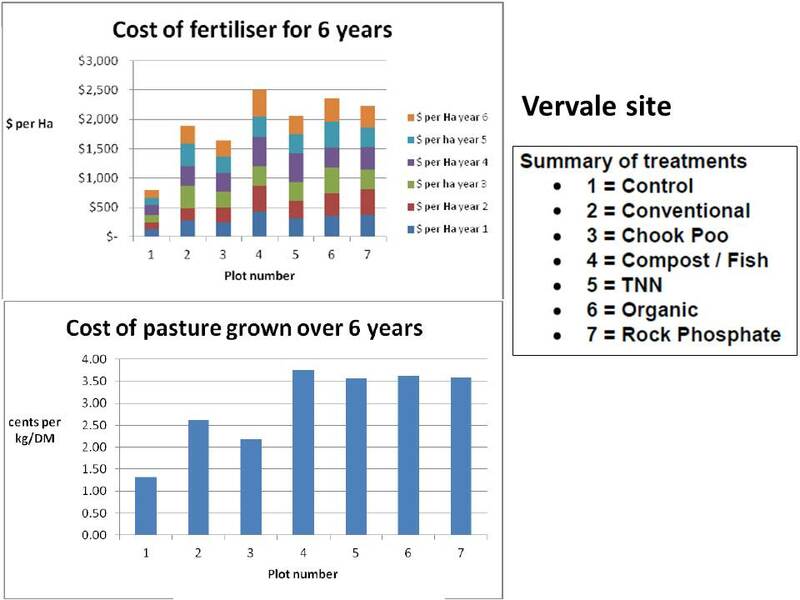 Figure 3: The cost of pasture grown Vervale showing average cents per kg of dry matter for each treatment. An enormous increase in biological count once rainfall increased from around 700mm per year to in excess of 1000mm per year. The high bacteria count compared to fungi count. All plots were bacteria dominant. The control plots with no added biologicals or biology enhancers had similar biological counts and fungi to bacteria ratio as the other treatments. The chicken manure treatment had the highest pasture digestibility, metabolisable energy and protein readings. But it needs to be pointed out the marginal increase in these nutrient characteristics is likely to have little impact on beef and sheep production as so many other factors also influence performance. The increases in these pasture quality characteristics are likely to have some economic impact in a dairy herd as a cow’s daily milk production is more sensitive to their variation. There were no discernable differences in other plant tests such as nitrogen percent and Brix readings. As for soil physical characteristics, there were no discernable differences over the six years in penetrometer reading, soil temperature and average water holding capacity. In soil chemistry all the treatments except the Organic (6) significantly increased soil pH over the six years. 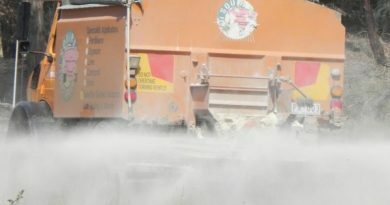 The Organic treatment did not contain as much lime as the others, this may be the reason behind the result. Trends in plant available phosphorus (P) measured as Olsen P are interesting. All treatments seemed to only maintain levels even though apart from the control, some P was added each year. In an extraordinary departure from the maintenance trend Olsen P dropped significantly in the final year from around 20 – 25 ppm to 5 – 10 ppm. Despite this pasture growth rate didn’t change! Adding to the phosphorus puzzle is the fact that total soil P didn’t change significantly over the six years or in the last year when available P dropped. The take home message on P confirms that seen in other trials that when P levels are moderate (above 15ppm) there seems little point in adding more P to boost pasture growth. Other grazing management strategies are likely to be more important for pasture resilience and productivity outcomes. What needs to be considered with this phosphorus data is what has happened to the excess phosphorus which was not used by plants harvested in the project. If it’s not accumulating as total P there is a possibility that adsorbed P was close to saturation and additional P may have been lost to the groundwater? 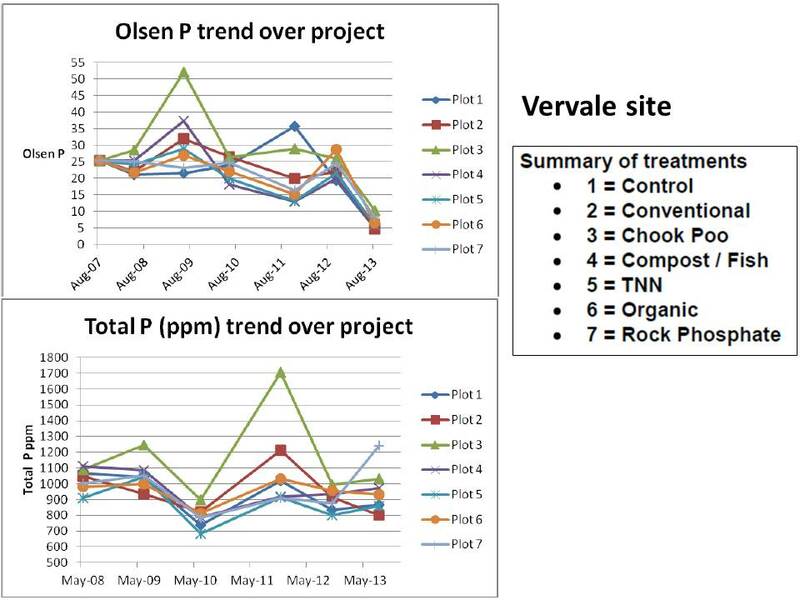 Figure 5: Olsen P and Total P trends at Vervale site. Available potassium (K) tended to decline over the six years, with the exception of treatment 4 (Compost plus fish) which produced significant K spikes in some years. This site had six treatments plus a control, but the latter also included lime. Other treatments were: conventional chemical fertilisers, chicken manure, compost and fish, organic products, and biochar with chemical fertilisers. There is no indication about the origin of the compost – animal manure or plant based. As with Vervale treatments each was a mix of products so it is virtually impossible to know if anyone is having an impact or not. This trial was run for five years with rainfall at similar levels (above 700mm for the first three years then above 1000mm per year in the last two years) to Vervale. This was a particularly high fertility site with extremely high plant available phosphorus and a moderate pH. Despite the difference is fertility and soil pH of the site result trends were similar to the Vervale site. Pasture production was only significantly increased by the poultry manure, figure 6 and its cost was low, figure 7. 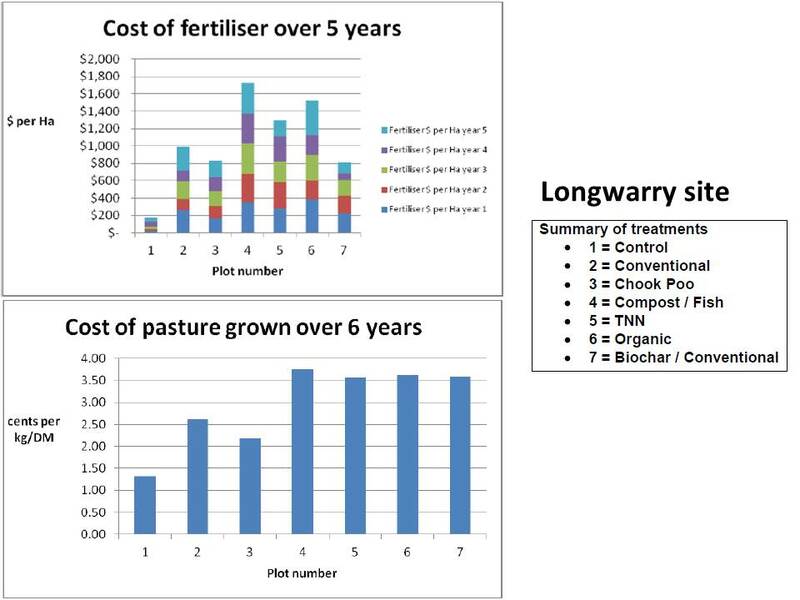 Figure 7: The cost of pasture grown Longwarry showing average cents per kg of dry matter for each treatment. 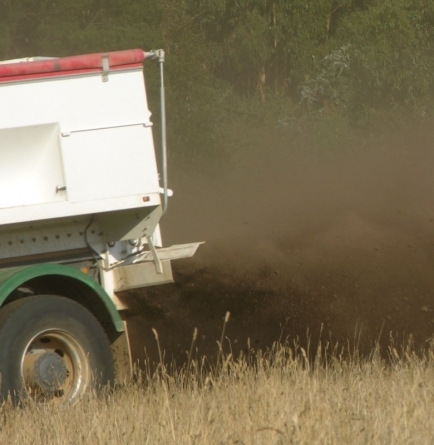 Chicken manure also produced the highest pasture quality in terms of average protein and average metabolisable energy, but differences were not significant as at Longwarry. There were no differences in plant nitrogen content, Brix readings and in soil characteristics like penetrometer reading, soil temperatures, and water holding capacity. Soil pH started at a moderate 5.7 (in calcium chloride) and increased slightly for all treatments except the control and organic where it was maintained at the original level. Soil chemistry trends were similar to Vervale but this time the starting Olsen P was 40ppm. For the first four years the Olsen P values remained close to starting values except for the control which dropped significantly in the fourth year. In the fifth year all the treatment Olsen P levels dropped significantly some down to the control level which was about 11ppm. Once again an extraordinary result given P was being applied in all the treatments except the control each year. In contrast, as at Vervale, Total P levels remained fairly constant over the five years despite the fact that at Longwarry Total P at 500ppm was about half the level at Vervale, figure 8. 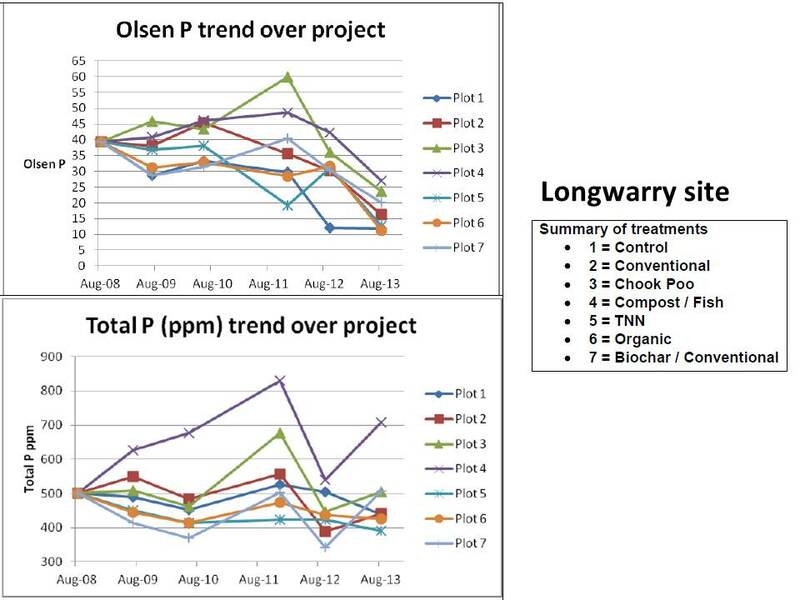 Figure 8: Olsen P and Total P trends at Longwarry site. Available K at Longwarry was less than half what is was at Vervale at around 140 ppm. Over the five years all plots tended to maintain this level except for TNN treatment where it increased significantly. 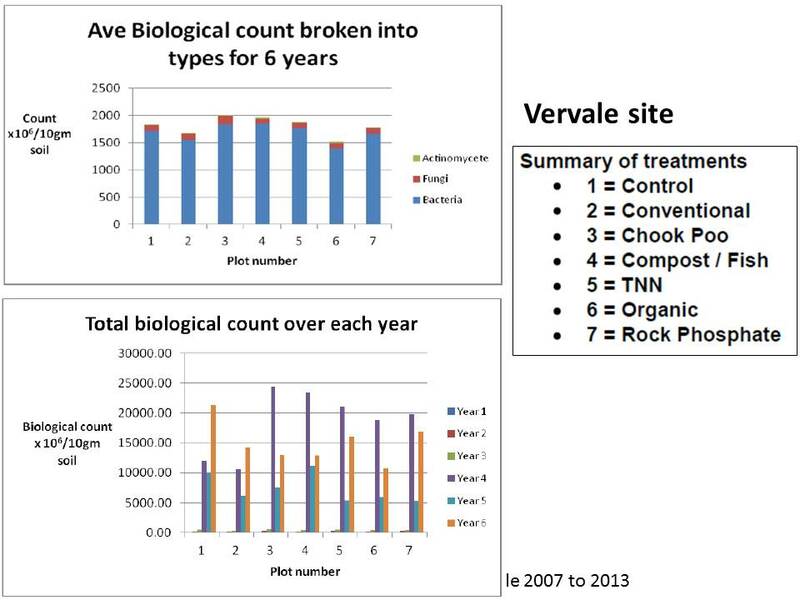 Interestingly at Vervale it was the Compost plus Fish treatment which boosted available K, but at this site that treatment didn’t have an effect. 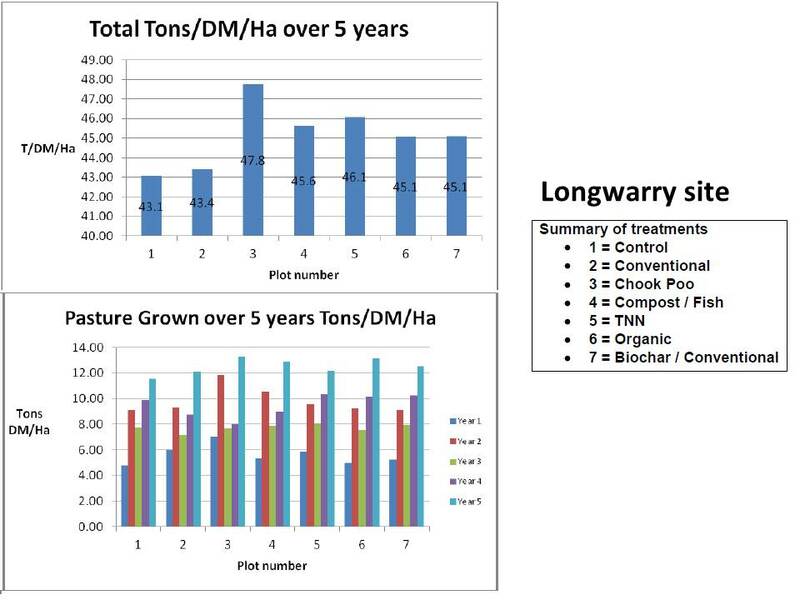 The soil biology results in terms of average biological count were different at Longwarry in that total counts were lower than Vervale and there was more variation between treatments. Poultry manure stood out as having the highest count. Once again the plots were bacteria dominant and ratio of bacteria to fungi varied between treatments. 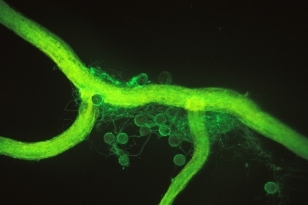 It looks as if the biochar treatment favoured fungi. High annual rainfall in the last three years significantly boosted soil biological counts as it did at Vervale, Figure 9. 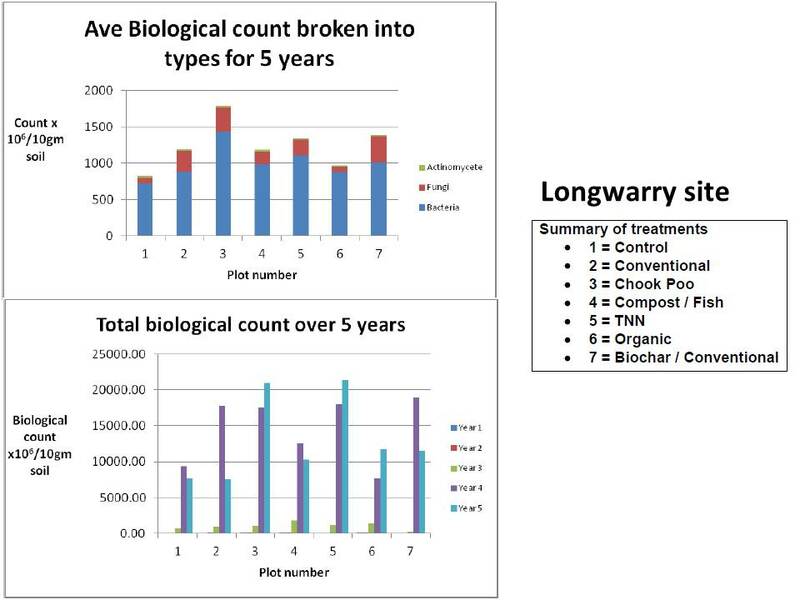 Figure 9: Biological count trends at Longwarry site. A concern with this trial is its methodology, in particular the removal of pasture cuts to determine yields and quality. There is no indication that these were returned and if not their inability to contribute to soil organic matter may have compromised the results. There is a large difference in soil organic matter dynamics between grazed pasture and pasture cut for hay and product removed. Irrespective of this, drawing conclusions about treatment impacts on soil health when pasture is cut versus pasture being grazed can be dangerous. The former provides an academic result while the latter practical outcomes. The other significant trial design fault here is a failure to use at least one site which had significant soil health problems. If one site had significant soil structure, biology and nutrient deficiencies as well as compromised variety composition then some or all of the biological products used may have displayed an important effect on pasture production and/or soil health characteristics. It is becoming increasingly apparent from alternative fertiliser trials in the higher rainfall beef cattle and sheep grazing districts which have had a long history of organic or inorganci fertiliser application in conjunction with introduced perennial and annual species that production per hectare is moderately stable. Furthermore production of pasture per hectare is likely to be influenced more significantly by annual rainfall, fodder conservation programs (import or export of product) and grazing management than it is by applying an organic or inorganic fertiliser, biological enhancer, or ameliorant. Those people with vested interests in products need to be able to demonstrate how applying so called soil health improving products to already biologically enhanced soils can improve on existing ecosystem services outcomes as well as plant and livestock productivity outcomes. Simply stating that benefits will be achieved without evidence for specific soil types, environments, and farming systems or methodologies is unaceptable. The minor trials were not replicated, simply test strips laid out in a paddock so farmers could observe if there were any differences between a conventional fertiliser treatment, wrongly called a control, and three organic fertiliser treatments. There was no soil biology analysis made and treatments between sites varied. The only real interest in the minor trial results is the variation in pasture production achieved and the cost to achieve it. Jindivick compared conventional chemical fertilisers with a mixture of organic products plus the plant hormone gibberellic acid treatment, a new total agronomy package of chemical and organic products, and chicken manure. The treatments are so mixed up nothing can be concluded. The Garfield North site included eight treatments and for the first time a real control where nothing was applied. As well, some of the treatments were single organic products which gave comparison of results some legitimacy. 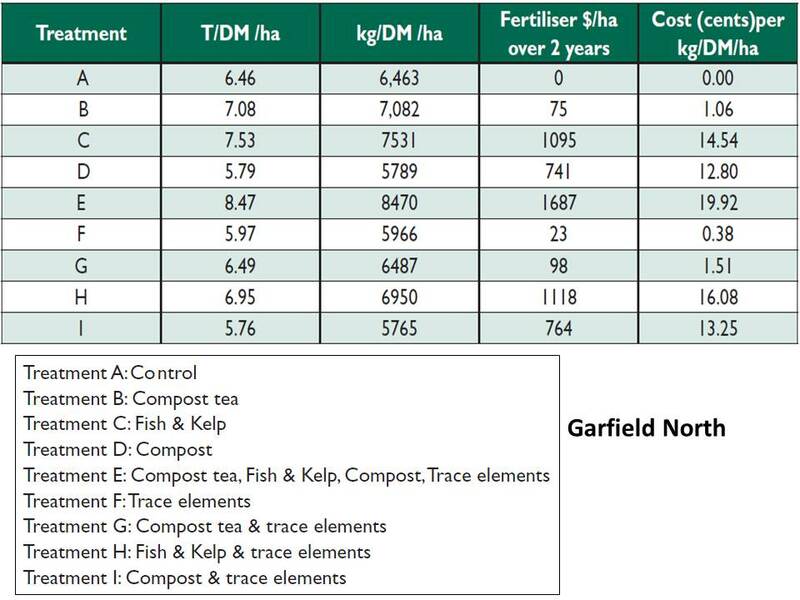 The control (A) was compared to: compost tea (B), fish & kelp (C), compost (D), all three plus trace elements (E) , trace elements alone (F), compost tea and trace elements (G), fish & kelp plus trace elements (H), and compost and trace elements (I). No details were given about the source material for the compost. This trial was on an organic beef cattle farm which seems to have a healthy soil to start with. Results showed little difference between products and the control, except some of the treatment costs were exceptionally high, table 1. While treatment E seems to show a response as there were no replicates it is difficult to read too much into this outcome. Table 1: Pasture growth and cost per kg dry matter over two years at Garfield North. This trial demonstrates that with a health soil in a healthy farming system, for some years at least, no fertilisers are needed. Grazing management is more likely to impact livestock production per hectare inconjuction with maintaining or improving ecosystem services than the type, if any, of fertiliser applied. Pat, this is a fine example of holistic perspective. A thorough analysis of past and existing conditions is pre- requisite in setting up a scientific trial or demonstration site. Careful exploration of prevailing presumptions and rigorous overview of all variables is necessary, for a trail or demonstration to ‘hold water’. Thank you. This is sound preparation for anyone wanting to deepen knowledge and insight.